Dr. Sheron C. Patterson is being honored by Iota Phi Lambda Sorority! 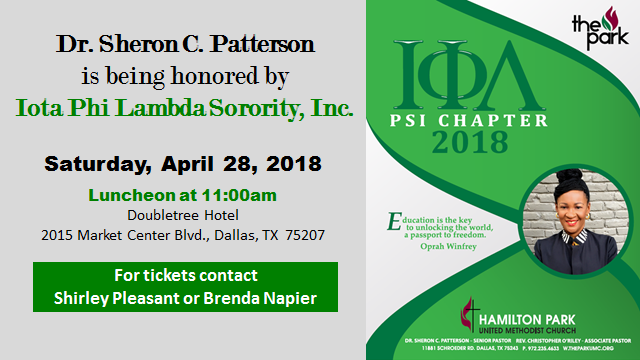 Dr. Sheron C. Patterson is being honored by Iota Phi Lambda Sorority at a luncheon on Saturday, April, 28, 2018, at 11:00 a.m. at the Doubletree Hotel. For tickets, contact Shirley Pleasant or Brenda Napier.